This Sunday saw Oxonian CC’s first open time trial of the season. The Charlbury Hilly TT is a 36 mile race around two laps of a rolling Cotswolds circuit. Weather is always a question with this early season event, but on the face of it we seemed to have got lucky: no rain, not freezing, and not too windy. 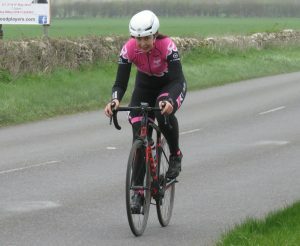 In practice, riders discovered that what wind there was was a block headwind on the exposed final leg from Shipton to Charlbury, and provided little benefit on either of the other two legs. Coupled with low temperatures, the conditions were never going to be record breaking, but nonetheless some very impressive times were posted. 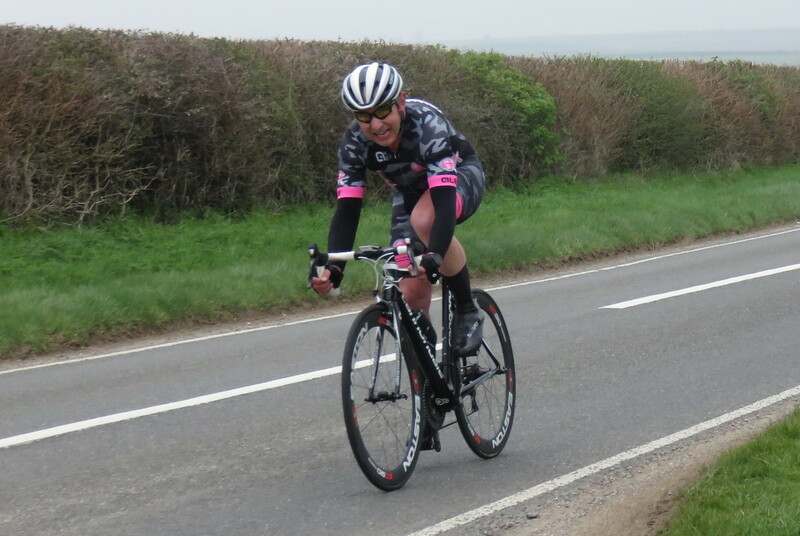 The event was won by Richard Gildea of Didcot Phoenix CC in a time of 1:24:54 – an average speed of just under 26mph – and beating teammate Henry Latimer by just 26 seconds. The women’s event was won by Rose Mcgovern of Cowley Road Condors CC in a time of 1:56:39, just over three minutes ahead of Helena Coker from Royal Leamington Spa CC. Time trialling is probably the simplest form of bike racing, but advances in aerodynamics have turned competition at the sharp end into something of an equipment arms race, requiring dedicated bikes and specialised clothing. 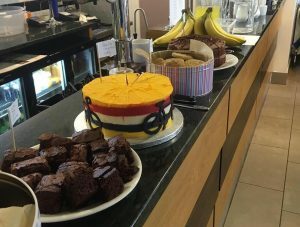 To counter this, this year’s event promoted a separate road bike division, allowing riders to turn up on a standard road bike and compete on a level playing field. This division saw a strong entry of 25 riders and was won by Tony Turner of Mickey Cranks Cycling Club in a time of 1:33:51. 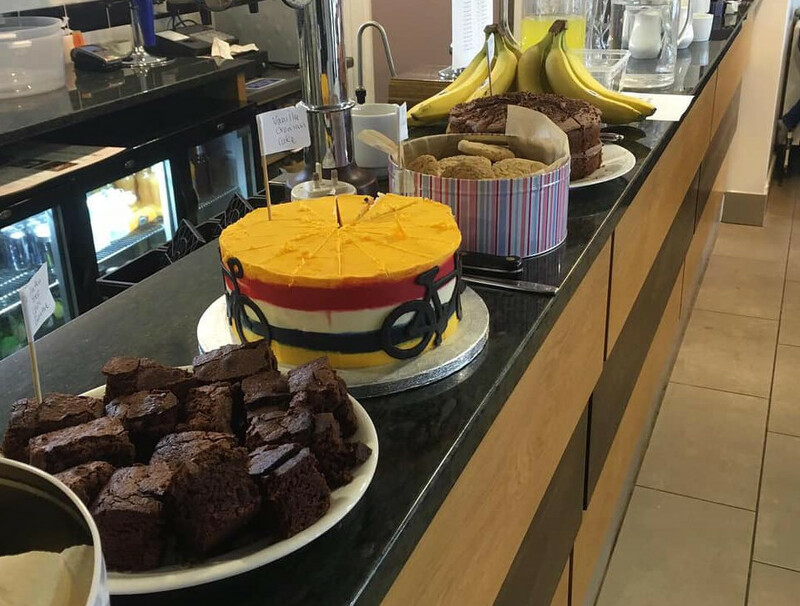 The event is also an opportunity for a friendly team match between local clubs, and this year saw six local clubs entering the required three riders. On the day, the Didcot Phoenix one-two left little room for anyone else, and they walked away with the team prize, over 13 minutes ahead of second place Cowley Road Condors. If you’re interested in trying a time trial, why not come to one of our club events which run every Wednesday throughout the summer? There’s a list of races on our race calendar and more information on our website about taking part in a time trial.